Last Updated: March 7, 2019 | Subscribe to our weekly newsletter! So you finally splurged on that hot tub you’ve had your eye on, huh? Congratulations! You filled it up, turned it on, cranked up the heater, and then made time for nice, long soaks after work and on the weekends. And then you got your electric bill, and it was a bit higher than usual. Maybe a lot higher. Maybe you went through the house turning off all the lights and nonessential appliances. 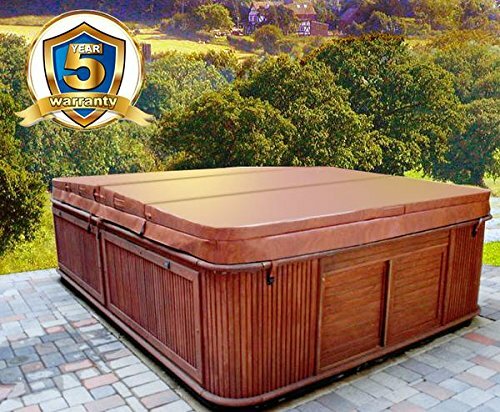 Before you made your purchase, you may have wondered, “How much does it cost to run a hot tub?” but thought you’d just figure it out as you went along. Well, now it’s time to make some adjustments so you can save money and energy, and go back to electric light instead of candles. So Just How Much Does It Cost to Run a Hot Tub? Yeah, bit of a letdown, isn’t it? Sure, it’d be nice if there were one definitive answer you could use to plan your hot tub maintenance and all the related expenses. But the truth is, how much it costs you to run your hot tub isn’t the same as it costs your neighbor, or someone in another city, state, or country. There are just too many variables. The costs to run a hot tub depend on several factors. We could go on and on, but you get the idea. The good news is, though it’s impossible to pin down any exact hot tub costs, what is possible is using certain tactics to keep your hot tub maintenance expenses low, regardless of any of the variables. If you haven’t already invested in a good hot tub cover, that’s your first step to saving money and energy. You can get a good one If you click this link and make a purchase, we earn a commission at no additional cost to you. for just a few hundred dollars, and you’ll make that money back in water, heating and chemical savings. Putting a cover on your hot tub reduces evaporation, traps heat, and prevents chemicals from evaporating right along with the water. Keep all those things where they’re supposed to be, and you don’t have to replace them as often. If you do have a cover, and it’s been sitting next to your hot tub getting dusty, clean it off, and start using it today to start the savings as soon as possible. Finally, if you have a cover, and you do use it regularly, take a little time to inspect it and make sure it’s still in good condition with no tears or other damage that can affect its performance. Wait, you just covered your hot tub, and now we want you to tuck it in with a cozy blanket too? Yup. Think of it as insulation. A thermal blanket is just one more layer that will trap heat, prevent evaporation If you click this link and make a purchase, we earn a commission at no additional cost to you. , and keep your hot tub chemicals where they belong—in the hot tub! It lies directly on the water, and under the cover, adding protection and efficiency. Most thermal blankets also double as solar blankets, meaning you can lay them over the water of an outdoor hot tub, and use the sun’s power to heat the water so your heater doesn’t have to work as hard. Add a thermal blanket to your setup, and you should see a drop in your electric bill. If your hot tub is outdoors, you have a few extra things to worry about. Leaves and other debris falling into the water. Little critters going for a swim (unless you keep it covered). And wind. Seems pretty innocuous, but wind can have a noticeable effect on your hot tub. The more the air above your spa moves, the more quickly the water will evaporate. Wind will also cool the water, making your heater have to work even harder to maintain the set temperature. There’s no danger of that while your hot tub is covered, but what about while you’re using it? 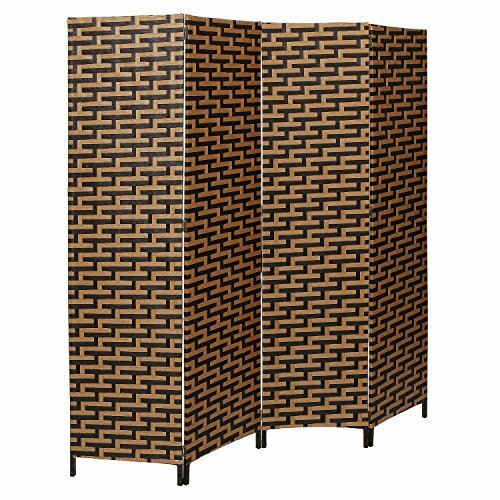 Create a windbreak around your hot tub with small bushes or a barrier screen If you click this link and make a purchase, we earn a commission at no additional cost to you. . You can even make it part of your outdoor decor If you click this link and make a purchase, we earn a commission at no additional cost to you. . The maximum recommended temperature for a hot tub is 104°F (40°C), but that doesn’t mean you have to keep it there. Setting a lower hot tub temperature will save energy and money, and will reduce evaporation, thereby preserving the chemicals in the water. Start with the average human body temperature of 98.6°F (37°C), and if it’s too cool, slowly notch the thermostat up until you’re comfortable. 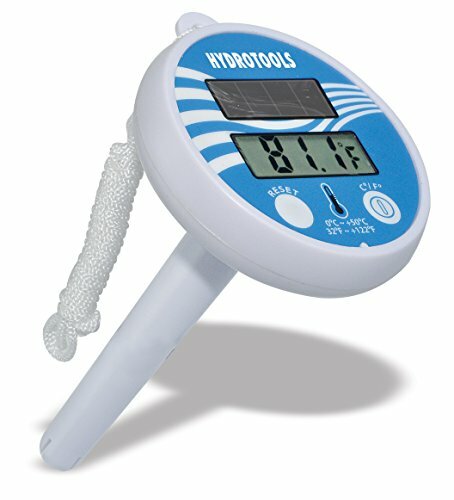 Use a floating thermometer If you click this link and make a purchase, we earn a commission at no additional cost to you. to keep an eye on the temperature so it doesn’t get too hot. Then remember to use your thermal blanket and cover to help maintain that temperature between soaks. This one really should go without saying, but we get it. It’s easy to become a little lax after a while, and go longer and longer between hot tub cleanings. 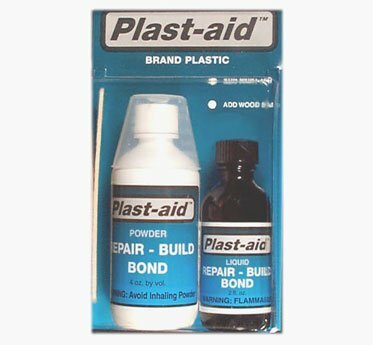 Maybe this will help. The longer you go without cleaning your hot tub, the more body oil, dead skin cells, and bacteria you’re soaking in. Motivating, isn’t it? When your spa water is dirty, it takes a toll on the filtration system. It can also start to damage surfaces, and even create buildup inside the plumbing. Let all this go for too long, and you’ll be looking at a hefty bill to replace damaged parts. Keeping your hot tub clean keeps it in good working order, which will save you money. 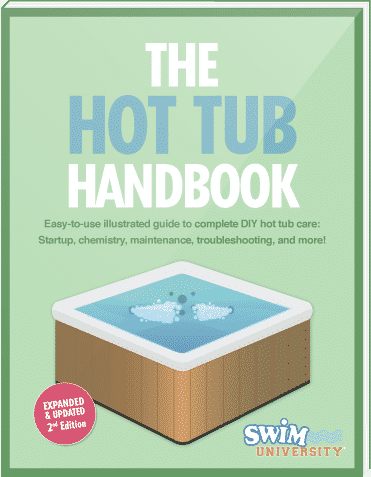 The thing is, while you do need to drain and clean your hot tub a few times a year (we recommend quarterly), it doesn’t have to be that intense every time. Use hot tub cleaner If you click this link and make a purchase, we earn a commission at no additional cost to you. on the shell’s top that surrounds the tub. Clean the pillows to keep them mildew free. And keep the cover clean to prevent debris or other yucky stuff from falling into the water when you cover it up. More importantly, clean the hot tub filter on a regular basis. Sometimes, all it’ll need is a good spray with the hose. But if it’s really dirty, use a filter cleaner If you click this link and make a purchase, we earn a commission at no additional cost to you. to get more life out of it. When you can’t get the filter clean anymore, it’s time to replace it If you click this link and make a purchase, we earn a commission at no additional cost to you. .
How does your hot tub get all bubbly? The air jets! They blow air into the water, creating the bubbles that help ease your tired muscles while you soak. But when you’re not using your hot tub, and the jets aren’t on, they’re still a pathway for air to get into the tub, which can cool the water down. Cool it too much, and your heater will have to work twice as hard to bring the temperature back up to a comfortable level. The solution is simple. Close the jets when you’re not using your spa. This will help keep cool air out, and help keep the water temperature steady. 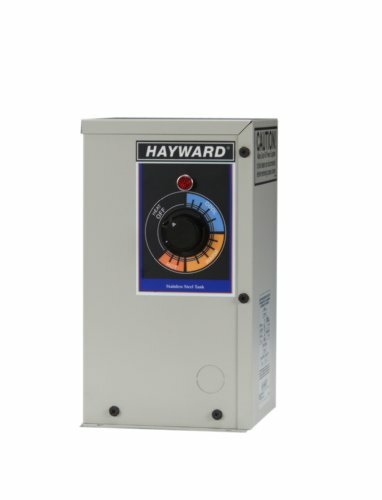 The less work your spa heater If you click this link and make a purchase, we earn a commission at no additional cost to you. has to do, the less it’ll cost you in both electricity and wear and tear on your equipment. Along with taking steps to reduce evaporation, you can be much more proactive in conserving water. The biggest way is to avoid splashout as much as possible. A hot tub should be fun and you should definitely enjoy it, but maybe save the splashing games for the pool where there’s more space, and less chance of water being lost and then having to be replaced. Also, make sure the jets aren’t pointed upward where they could cause water to splash out. Finally, keep an eye out for hot tub leaks. They can occur in the hot tub shell, in the plumbing, and in the connections for all the spa equipment, like the pump and filter. If you suspect a leak, track it down as quickly as possible, and repair it If you click this link and make a purchase, we earn a commission at no additional cost to you. . This may seem like a drastic measure, but it may also be necessary. Say you buy a house that already has a hot tub on the property. Bonus! Or is it? How old is the tub? Did the previous owners take care of it? What kind of condition is it in? If it wasn’t properly cared for, it may actually cost you less to replace it If you click this link and make a purchase, we earn a commission at no additional cost to you. rather than try to refurbish it. Or maybe it’s just that you’ve had your hot tub for a while now, and it’s time to upgrade to a more energy-efficient model. Newer spas are built to use less energy, and work better than ever before. Before you buy a lot of accessories or make a lot of changes in an effort to save money, run the numbers and determine whether it may be more cost-effective to simply go with a new hot tub. You Just Graduated Hot Tub Savings Training! So now when your family and friends express interest in getting their own spa, and they ask you, “How much does it cost to run a hot tub?” you’ll be able to explain the cost factors to them, and give them advice on how to keep expenses low. More importantly, you’ll be able to help them enjoy their investment even more because it won’t feel like a burden, and they won’t experience buyer’s remorse because they’ll be prepared. Just like you are! Learn how to take care of your hot tub while on vacation so you can enjoy your time off while making sure your hot tub is well cared for. You've taken your last lukewarm soak. 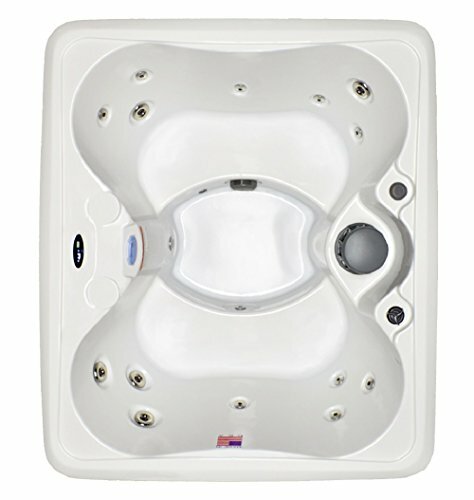 Choose the right hot tub heater, and enjoy fast, efficient, and always-comfortable soaking anytime and every time.